Luxury, beach-side, private apartments in Marbella, Spain. Including exclusive access to resort gardens, pools, bar, sauna and gym. 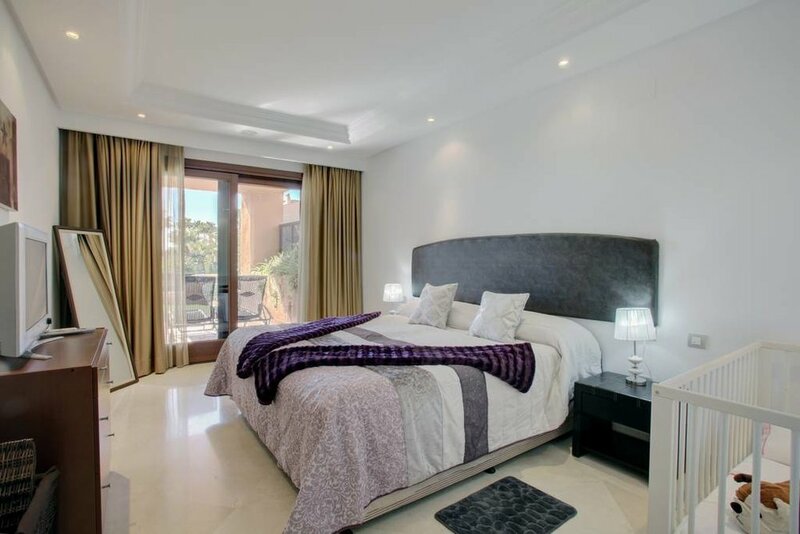 Our private self-catering apartments can accommodate 5 people, including 2 bedrooms, 2 marble bathrooms, a fully equipped kitchen, and a terrace overlooking exotic gardens. Both properties are on the same floor and can be booked together if preferred. 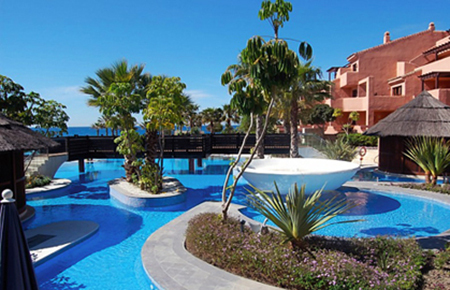 The beach-front resort includes its own pools, gardens, bar, indoor pool, gym, sauna and tennis courts. Next door you can find the 5 star Kempinski Hotel, where you can enjoy some fine dining and a selection of spa treatments. 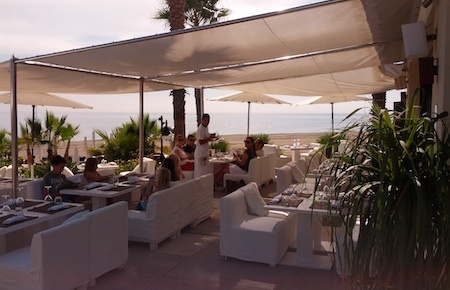 A short walk from Laguna Village and Estepona town, where there is an array of shops, cafes, restaurants and spas. Elsewhere, explorers can visit Selwo Adventure Park or head to Marbella and Puerto Banus for the vibrant night-life.